Quality food, health and environment are the major concerns facing our country. Mushroom helps to address the issue of nutritional security and also provides solution for proper recycling of agro-wastes. 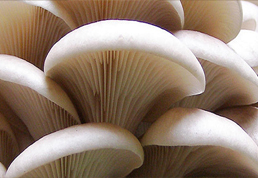 In addition to good quality protein, no cholesterol, high fibre, low sodium, good quantity of vitamins and minerals, the mushrooms also have bioactive compounds like b-glucans, roteinpolysaccharide complexes that impart Unique medicinal values like anti-cancer and anti-viral properties. 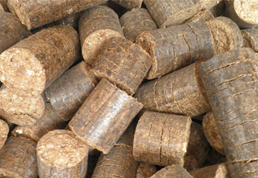 Bio Coal Briquettes are Non Conventional Source of Energy, Renewable in nature, Eco friendly, non polluting and economical. Process of converting agricultural waste to solid fuel is also Non Polluting. It has not required adding any binder / chemicals so it is 100% natural. Briquettes have high specific density (1200 Kg/m3) and bulk density (800 Kg/m3) compared to just 60 to 180 Kg/m3 of loose Bio Coal.